MPSI Technologies GmbH is a Munich-based IT startup founded in 2016 by Alexander Wirthmüller. In 2017, we launched our automated code generation/iteration services WhizniumSBE and WhizniumDBE. Our target audience are industrial equipment manufacturers looking for innovative control and connectivity software for their products. We have first customers both locally and nationwide. Our vision is to democratize embedded software development by letting Whiznium take care of all the intricate details of building connected devices. Our mission is to ensure embedded software developers work with feature-rich and clean source code. We provide the Whiznium products to handle all repetitive coding tasks of building and maintaining modern projects in embedded. Alex is an electrical engineer with hands-on experience in many things ranging from cloud based simulation software to clean-room fabrication for optoelectronic devices. Next to his projects in academia and in the real world, he spent many years building and refining his pet project Whiznium for automated code generation/iteration. In 2016, he founded MPSI Technologies GmbH in Munich/Germany with the goal of marketing Whiznium to industrial automation companies. Alex holds a MSc in EE from ETH Zurich. 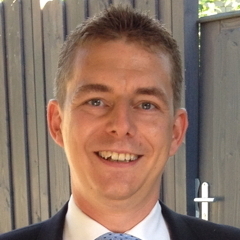 Ivo is a management expert with experience in sales, business development and start-ups. He has worked for tech companies serving at the intersection of technological and management levels. Driven by his entrepreneurial spirit, he then moved on to launch a product for the boutique beverage industry. 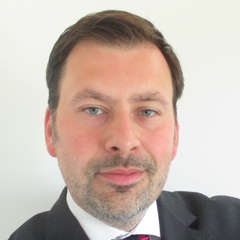 Since 2018, he is a partner at MPSI Technologies GmbH and responsible for all commercial aspects. Ivo holds a BAIB from Northumbria University Newcastle and a Master of European Studies from the Center for European Integration Studies in Bonn. Matrikon is a market leader in OPC UA and classic OPC data connectivity for embedded and PC based applications. As a Matrikon Eco Partner member, MPSI combines its Whiznium auto-code generation product line with the Matrikon® FLEX OPC UA SDK to provide its customers' projects with professional, production ready OPC UA connectivity. We are more than happy to showcase the highlights of Whiznium development to your developer team during a customized in-house presentation. Depending on your specific interest, we can arrange for anything from a short slide-based introduction of Whiznium with subsequent Q&A to a live show of our hardware demonstrator. Of course, our presentations are "no strings attached".